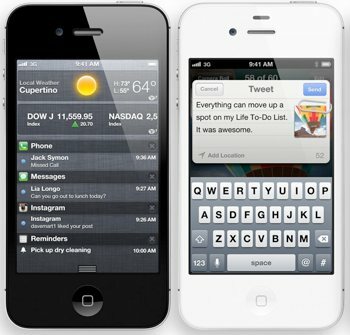 Apple’s new iPhone 4S has earned a recommended status from Consumer Reports in their updated ratings of smartphones. The company complemented the aesthetics of the 4S which are identical to the iPhone 4 but more importantly, the phone doesn’t suffer from reception problems they encountered with the original last year. When the iPhone 4 was released last year, Consumer Reports and a slew of other media discovered an antenna design flaw that caused signal to significantly degrade if the phone was touched on its lower left side. Apple initially claimed that the issue was due to how the phone calculated the available signal strength represented in bars and released an update to fix the buggy algorithm. Cupertino eventually acknowledged that the iPhone 4’s reception degrades when touching a spot on the left side and offered users a free Bumper case to alleviate the issue. Consumer Reports performed the same special reception test they did on the iPhone 4 and found no ill effects this time around. The phone also scored a ‘Very Good’ in battery life testing but it wasn’t enough to capture the top spot. Android-based phones like the Samsung Galaxy S II, the Motorola Droid Bionic and the LG Thrill all rank higher than the 4S, primarily due to the fact they all feature larger HD displays. In addition to the larger screen, some also received higher marks because they run on faster 4G LTE networks.